The Garda Ombudsman’s office has been sniffing through journalists’ contacts in a probe that lacks teeth. Scrutiny: Phone records of up to 50 individuals may also have featured in an investigation of alleged leaks around the arrest of Independent TD Clare Daly. The disturbing revelations that the Garda Ombudsman Commission has been snooping on journalists’ phone records confirms the watchdog’s predilection for spookery, intrigue – and farce. It is more than a little ironic that this is the same organisation which created a crisis in the justice system two years ago on a claim, later found to be groundless, that it was the victim of a spy plot of which John le Carre would be proud. But the drama ended in ignominy for the watchdog as the controversy descended into farce and the plot turned out to be more Austin Powers than James Bond. 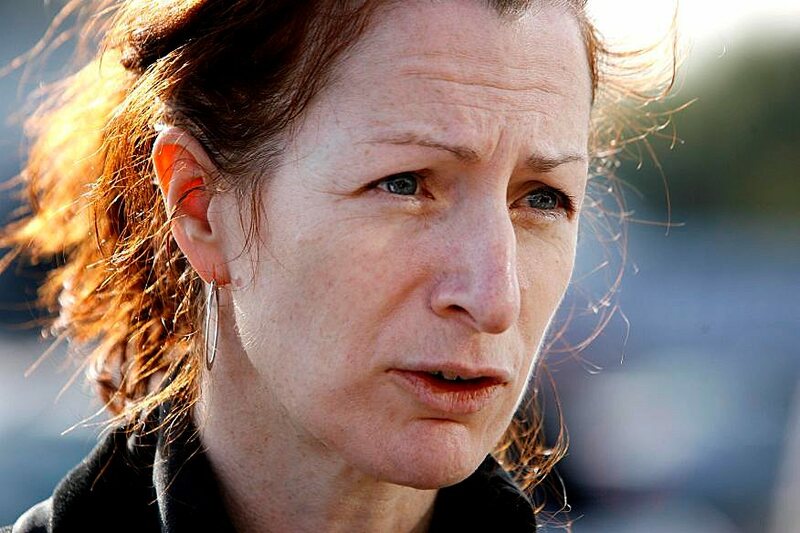 It has now been established that while some GSOC officials were leaking the bugging yarn to the media, some of their colleagues were simultaneously snooping – quite legally – on journalists’ phone records to uncover the source of … garda leaks. It would almost be funny if it was not such a serious attack on press freedom – and hypocritical. We can now reasonably assume that the garda watchdog has been systematically accessing the phone records of journalists suspected of receiving information from gardai, and not just those of the three we know of so far – Conor Feehan of Independent News and Media and the Irish Daily Mail’s Ali Bracken and Senan Molony. An immediate question is what is GSOC doing with all this sensitive information? The plot thickened yesterday when the Irish Independent revealed that the private phone records of up to 50 individuals, who have no connection to either gardai or media, may also have featured in an investigation of alleged leaks around the arrest of Independent TD Clare Daly in January 2013 – a few weeks before the non-bugging scandal broke in the Sunday Times. GSOC accessed the phone records of Senan Molony, the Mail’s political editor, and after cross-checking the registration details of those he had been in contact with, found the number of a serving garda detective. They then pulled the garda’s records along with those of his wife. The dogged inquisitors closely scrutinised the data and identified two other serving gardai he had been in communication with around the time of the Daly arrest. That would have entailed a painstaking trawl through the registration details of the individual owners of all the phones in contact with the garda. On paper it must have seemed like they had their man. Only in July last year when he was summoned to a meeting with GSOC did the garda first realise he had been under criminal investigation. And this is where it descended into farce for the garda watchers. It transpired that their number one suspect coaches children in his spare time at a local rugby club and was in regular contact with up to 50 parents – including Mr Molony whose child is a member of the club. For several months GSOC has refused to answer queries from the political journalist. But following the recent revelations it appears they will be in receipt of many more awkward questions from the unwitting parents who became bit-players in this comedy of errors. The sombre-toned report into the GSOC bugging controversy by High Court Judge John Cooke, in which he concluded there had been no bugging, is unlike any other such document; it makes for riveting reading. Despite its dispassionate legalistic language, the descriptions it contains are redolent of a Keystone Cops remake. In a bid to lure potential spies out into the open the judge recalled how GSOC officials and their English security consultants, Verrimus, set up a bizarre James Bond-style sting operation in October 2013. An internal report was compiled in a document containing deliberately false and misleading information which would have been of major interest to any suspected eavesdroppers. It was uploaded onto the GSOC computer system which Verrimus claimed had been subjected to cyber surveillance. According to the Cooke report the bogus document stated that serious “errors” had been made in a previous report on a high-profile GSOC investigation. The second part of the cloak-and-dagger ruse involved a meeting to “discuss” the false report as if it were true, in the office of the then GSOC chairman Simon O’Brien on the morning of Tuesday, November 19, 2012. It was attended by the GSOC officers involved in the particular case and two of the commissioners, Carmel Foley and Kieran Fitzgerald. Simon O’Brien, who was at home in the UK at the time, participated via a conference call using the audio/visual conference system in his office which Verrimus believed was also being secretly monitored. One can only imagine what happened during the hour-long meeting as the GSOC officials acted out their roles for the benefit of the shadowy spooks lurking in cyberspace. According to the Cooke Report, GSOC officers and their security consultants were on standby poised to “carry out arrests in the event that the surveillance was discovered”. The report also questioned a claim by Verrimus operatives and GSOC staff that a number of men were spotted carrying out surveillance on the GSOC offices. On that occasion the specialists noticed that the watchdog’s wi-fi system had connected – quite normally it later transpired – with the Bit buzz network in a Insomnia coffee shop on the ground floor of the same building. When one of the operatives went to the shop he saw one person using a “handheld computer or mobile device”. A “white van” with blacked out windows was also spotted parked in the street with a direct line of sight on the offices. The intrigue deepened further when two men were also supposedly spotted acting suspiciously close to the van. And in Dublin Airport the English security experts claimed they were photographed by an individual who had them under surveillance. But the most perplexing aspect of this tense drama is that it appears no effort was made by GSOC to uncover the identity of their spies. The area in and around the watchdog’s inner-city office is festooned with CCTV cameras and the commission has its own system. Nowhere in Judge Cooke’s report was there any explanation of what actions GSOC took. It is baffling that GSOC then launched a secret public-interest investigation and did not collect all the security footage in the area which it is empowered to do. After all, the Commission regularly seizes footage from pubs where gardai were suspected of drinking on duty. And then there is the glaring question that would spring to the mind of even the dumbest amateur. Why did no one check the registration plate on the mysterious white van with the blacked out windows? Perhaps rumbling journalistic sources is less daunting than unmasking shadowy spies.